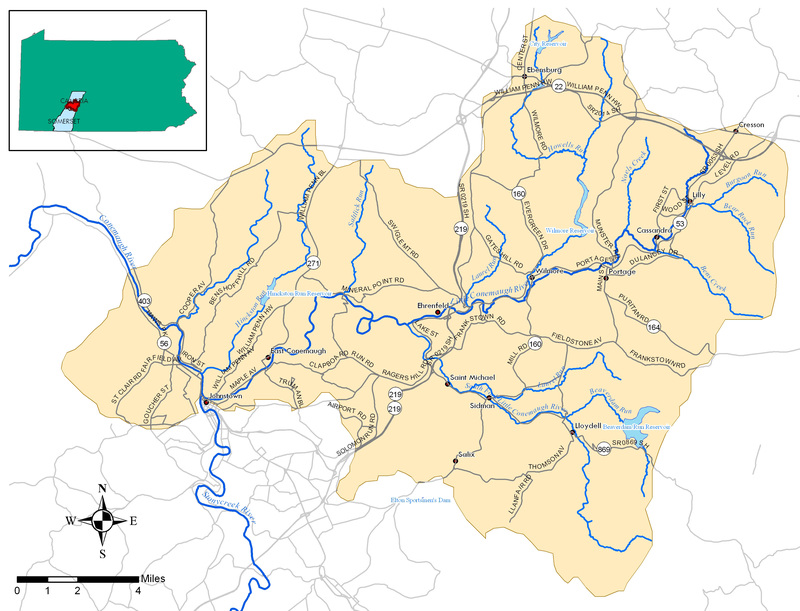 HARRISBURG, Pa. — Pa. Department of Environmental Protection has signed a groundbreaking Consent Order and Agreement with Rosebud Mining Co. to treat acid mine drainage into the Little Conemaugh River, enabling Rosebud to build and operate a new facility. It is the first mining permit issued in Pennsylvania to require Rosebud to document that its treatment of the St. Michael drainage discharge and others, as part of its mining operation, is improving water quality. It is also the first agreement to provide a method to calculate and report acid mine drainage load reductions on the river. DEP Deputy Secretary for Active and Abandoned Mine Operations John Stefanko toured the site Dec. 11. The company estimates that the current St. Michael discharge is responsible for as much as 44 percent of the total acid mine drainage load to the Little Conemaugh River. By lowering the mine pool and treating the water in the St. Michael shaft, Rosebud will be able to access the coal reserves, which the company estimates will take up to 40 years to mine. Under the agreement with DEP, Rosebud is responsible for all costs to treat the mine pool water, utilizing best available technology for the life of the mining operation. The company has also agreed to make annual payments to a special trust fund, which will be used to permanently pay the operations, maintenance and recapitalization costs for the discharge treatment facility once mining is completed. Under the company’s original treatment plan, the treated water would still have contained certain levels of constituents that would not meet U.S. Environmental Protection Agency (EPA) standards. DEP Mining staff and the agency’s Office of Chief Counsel worked with Rosebud and EPA to come up with a groundbreaking agreement for a National Pollution Discharge Elimination System Permit (NPDES) for the St. Michael facility.